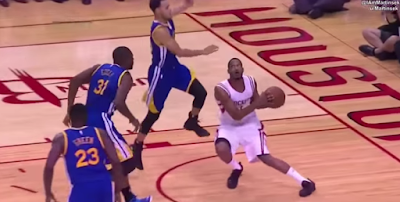 Stephen Curry suffered a really bad fall during Game 5 earlier between the Golden State Warriors and the Houston Rockets in the 2015 NBA Playoffs - Western Conference Finals. 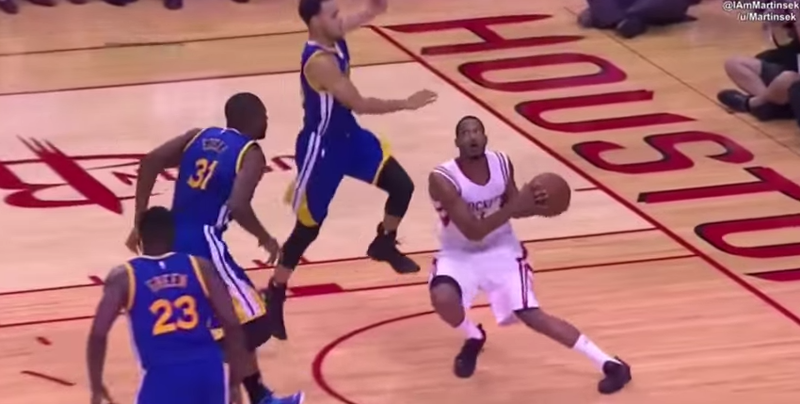 I got worried that the Stephen Curry vs LeBron James showdown in the NBA 2015 Finals won't be happening, after the Golden State Warriors forward fell so bad and hit his head on court, after he jumped in the air while attempting to block a shot by Houston Rockets' Trevor Ariza. But he's okay, and seeing him playing against LeBron in the finals is still very possible. Due to the freaky ouchy nature, I can't post a video of Stephen Curry's fall here. Just watch it on Youtube. Not less than 10 videos of the fall have been uploaded there. It happened during the middle of the 2nd Quarter, and Curry, diagnosed with head contusion, was unable to continue playing until the first 5 minutes of the 2nd half. The injured Most Valuable Player of the NBA 2014-15 season was able to return 5:58 left in the 3rd Quarter, and finished off Game 4 with just 23 points, the first time he only scored 20s in the whole West Finals. He scored 34 pts in Game 1, 33 during Game 2 and put up 40 during Game 3. Curry's scary fall somehow hurt GSW's chances of sweeping its West Finals series with the Houston Rockets, who won Game 4, forcing Game 5, which is set for Wednesday, May 27, 2015 (Thursday, May 28 PH time) at GSW's home court, Oracle Arena. Game 4 Final Scores were 115-128, with James Harden as the top scorer, with big 45 points. GSW still leads the series, 3-1.